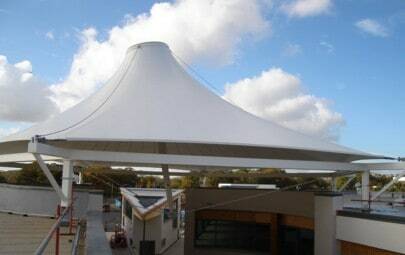 In line with the historical and modern presence of the Navy in Plymouth, architects of the citys Sainsburys store wanted to incorporate a nautical influence into the design of the building. 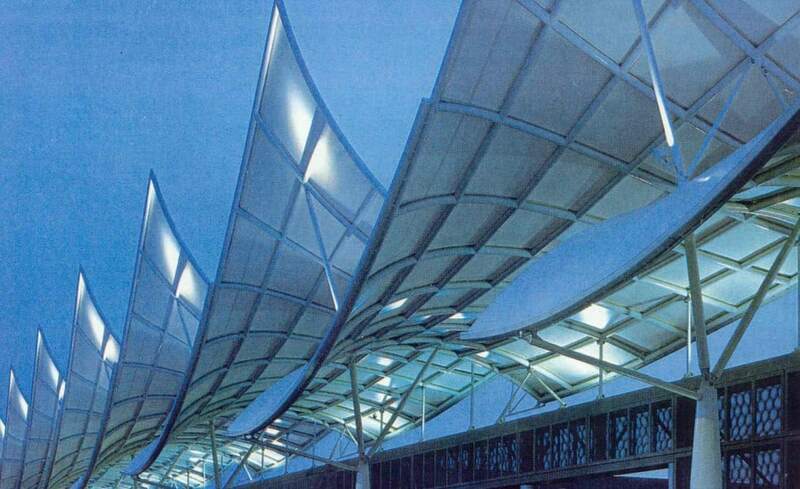 The result was eleven curved canopies, reminiscent of sails, forming a line in front of the entrance. 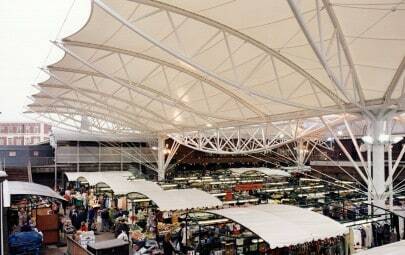 The 11 sails of identical shape measuring approximately 20 x 10m and reaching a maximum height of 16m – overlap one other, to create a continuous 175 m long roof canopy along one side of the shop front. Designed as an entrance feature, the sails also deflect the sea wind away from the pedestrians below to create a sheltered area. 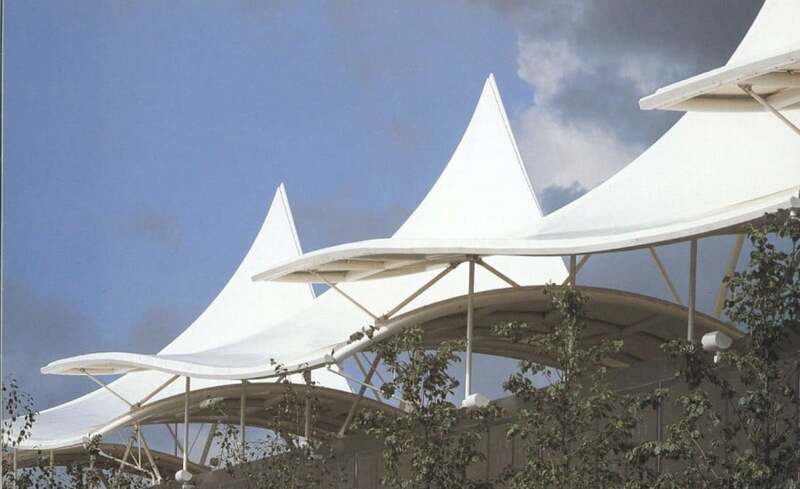 PVC coated polyester was chosen as the most adaptable and economic fabric in which to form the sails. 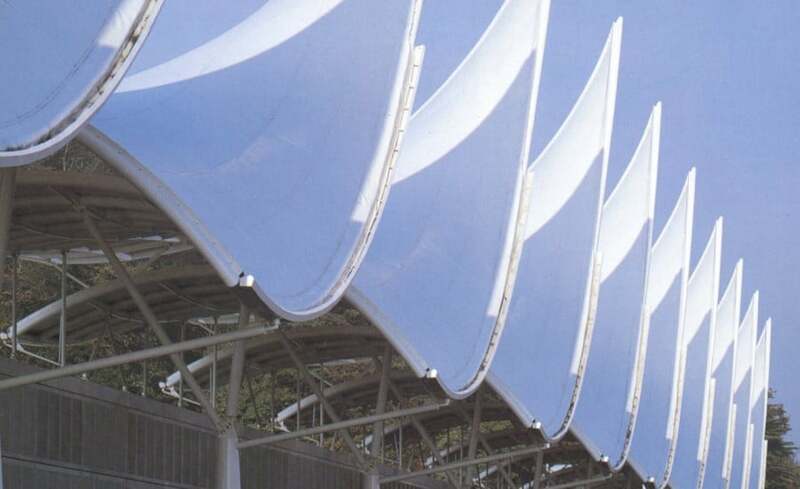 Manufactured in one piece, the sails were seamed along the grid lines of the steelwork in order to appear as flawless as possible. 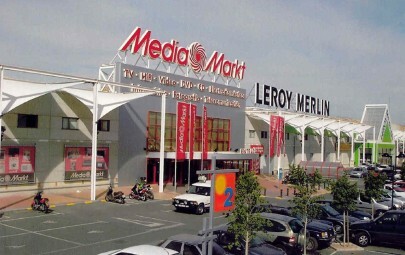 Now an iconic structure and symbol for the gateway into Plymouth, the front canopy of this supermarket provides the store with an unmistakeable identity for passing motorists. The sails are one of the most influential projects carried out by Architen Landrell, and one of the most important to us we continue to maintain the structure to ensure it looks as good now as it did new.